Arsene Wenger’s last trip to Old Trafford saw the Gunners suffer a 2-1 defeat at the hands of Man Utd. Late drama ensued as a lucky header from Fellaini saw the three points go United’s way in added time. This was a decisive additive to Pogba’s opener, which was dulled only by Mkhitaryan scoring against his former club in the second half. All in all, a decent showing was put on by both sides, and Arsenal in particular, put in a far better performance than what was expected of a weakened side that was deprived of the likes of Ozil, Lacazette, and Ramsey, amongst others. 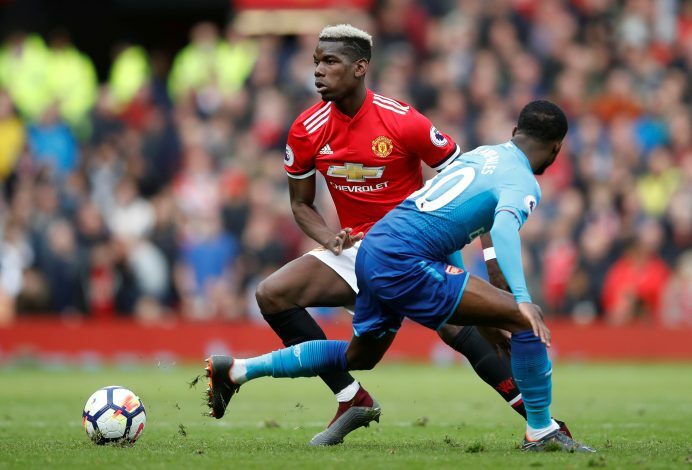 Youngsters Ainsley Maitland-Niles and Mavropanos were given surprising starts as a result of the resting, and one of them impressed Paul Pogba quite a bit. After the full-time whistle, Pogba was seen hugging the 20-year-old and whispering what can only be appreciation and advice into the ears of the youngster. The England U-21 international was a brilliant presence in the game, and was often an apt midfielder when compared to the seasoned opposition of Pogba, Matic, and Herrera. Such recognition is a classy gesture from Pogba, who himself has faced criticism, and still fresh off his own youth days, would know better than anyone else that a fair word can go a long way in building the confidence of a starlet. Fans too, took good notice of his antics, and were positive about the performance given, many hailing him as something big just brewing and waiting for a big break. In fact, Pogba’s act of appreciation was caught quite well by these supporters, and was given tremendous acknowledgment. Now they will be hoping that most of that advice will be acted upon by the youngster, and that he will live up to the plethora of expectations heaped upon him over this campaign.